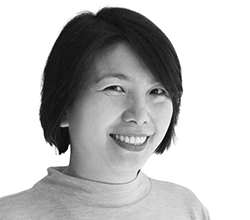 Imelda leads our strategic efforts—from industry and market trend analysis to innovative solutions—to help brands gain insights, navigate the consumer landscape, and create meaningful connection. She brings her expertise in blending quantitative, qualitative and anthropological methods to cultivate consumer intelligence, modeling strategic direction by combining consumer data and business analysis, and translating the human experiences through product & service innovation, digital and social engagement. Armed with a strong strategy, creative & technology background, Imelda delivered innovative creative and business recommendations for global brands like Verizon and Coca-Cola. A digital connoisseur, she engineered award-winning online products for beauty, fashion, luxury & lifestyle brands like Christian Dior, DKNY, Lexus, Max Mara, Pantone & Revlon as well as complex administrative UI for AIG and Deloitte. Imelda received her master’s degrees from Syracuse University’s Newhouse School, where she focused on combining fields of Visual Communications and Quantitative Research as means of understanding society & culture. A passionate brand advocate, she founded an animal advocacy whose grassroots holiday campaign raised over $1 million in just 4 years. She also co-created IHadCancer.com, a Webby Award-winning cancer support network ranked as #1 Life-Saving Network by Parade.